Patrick Keenan-Devlin speaks at a meeting. Keenan-Devlin serves as the executive director of the Moran Center for Youth Advocacy, providing legal and emotional services to at-risk youth. Patrick Keenan-Devlin believes Evanston is a community of “haves and have nots,” with few people in the middle. Although lots of financial and nonprofit resources exist in the community, he said the city still faces problems, such as inequity, poverty and the effects these factors can have in destabilizing families. The Moran Center for Youth Advocacy, where Keenan-Devlin is the executive director, strives to “humanize the human” by getting to know the personal challenges at-risk youth face in Evanston. The center provides free legal services for youth in the criminal justice system and schools, focusing on restorative justice programs and other support systems. The center attempts to keep Evanston youth out of jail and prison, but is also equipped with resources to connect them back to their community. Non-Hispanic black people made up 33 percent of the total U.S. prison population at the end of 2016, despite making up only 12 percent of the total population, according to data from the U.S. Justice Department. 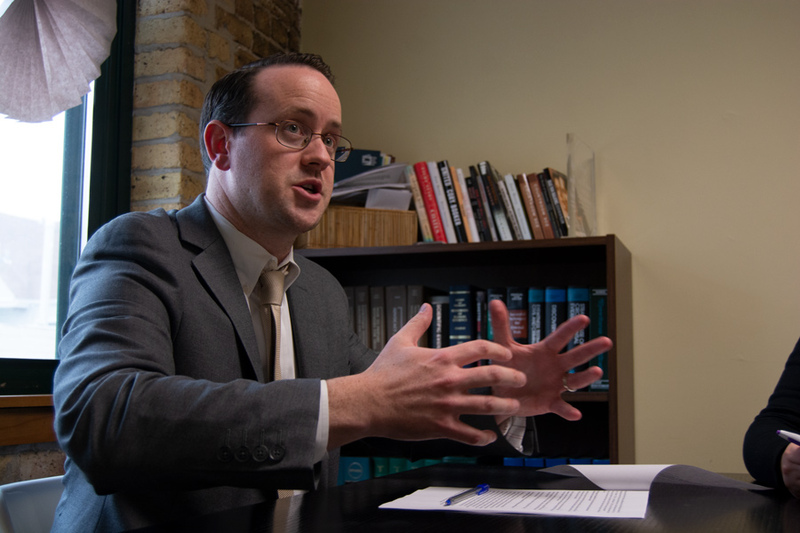 Keenan-Devlin said the “horrifying” national statistics showing the disproportionately negative impact of the criminal justice system on black people exist in Evanston too. In Evanston, more than 98 percent of non-Hispanic whites in 2017 had a high school degree, according to the American Community Survey. That number was 85.7 percent for blacks and 71.9 percent for Hispanics and Latinos. Cytrynbaum said Evanston residents must reconcile “the mighty liberal majesty of our big lefty hearts” with the fact that inequity runs deep within the city. She said there are people across the city struggling with homelessness and food insecurity that often get overlooked. The center has expanded over the years and made choices to fit the needs of clients in holistic ways, said Andrew Sowle, a legal fellow at the center. “It started with criminal defense … (but) over the years, attorneys saw the children who we’re helping in the courtroom have a lot of needs that weren’t being met in school,” Sowle said. As the program evolved, new projects began addressing family issues that might prevent students from succeeding in school, Sowle said. The center has focused on providing resources, visibility and recognition of students’ circumstances rather than just punishment for their actions, he said. In order to address these circumstances, the center focuses on restorative justice, an alternative approach to discipline popular in schools across the country that attempts to take a student out of the criminal justice system and help him make amends through other means. In using a restorative justice approach, Cytrynbaum said the center aims to understand the full context of someone’s actions. For example, when she sees someone smoking marijuana, even though the law says it is illegal in many cases, Cytrynbaum asks the deeper question — why? When the center actually gets to know their situation, she said one can come to understand the root cause of the behavior. Cytrynbaum said the center has kept thousands of students in school and out of jail through a wide range of services. Moran is leading the charge to changing the structure of the system.